I never intended to watch Mike Flanagan’s entire oeuvre, but here we are, and as I’m four movies in, the completionist in me won’t let me stop now. His recent films and TV shows have, after all, been uniformly good. Absentia, one of the director’s earlier works, is also worth a watch, despite being filmed a budget that never could prop up its ambitions. 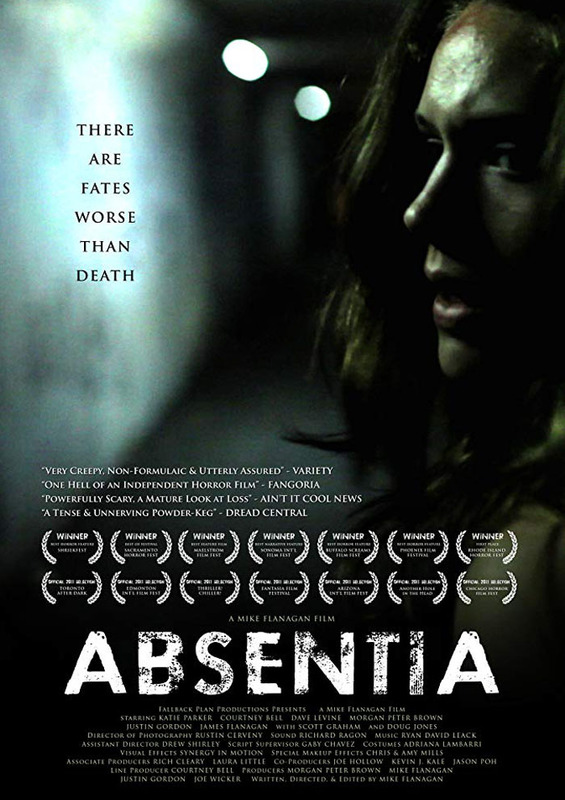 Produced on a shoestring $70,000—a third or so of which was Kickstarted —Absentia follows a fairly standard plot on the surface: Tricia is forced to declare her husband dead in absentia after he has been missing for seven years. Soon after, she starts having nightmares and seeing apparitions. Her sister has similarly strange experiences in a nearby tunnel, a place that is… Well, it is something, including the center of the movie. Yet, Flanagan and crew make it work. The lo-fi æsthetics give Absentia a gritty feel, and as the story unfolds, the mythology it sets up is intriguing, even though it doesn’t entirely pay off. Had they filmed it today, the movie would likely have been more Haunting… than Oculus. Overall, though, Absentia is a must watch for anyone who enjoys Flanagan’s recent work, and thanks to Netflix, that’s many. The path from then to now is interesting, plus Absentia is a good watch on its own merits.